As well as all the regular Buttoned Down Disco indie/electro/pop anthems there will be giant balloons on the dancefloor, free easter eggs, badges, face painting at this Easter Party. Christian Laing, Lydia Butler and Richard Titchener spin rock, electro, indie, kitsch pop and remixes at KOKO, home of their monthly residency, where there's a large smoking courtyard and gallery bar. It's invite only entry, so make sure you request invites at www.buttoneddowndisco.com. What are the best dining options near Buttoned Down Disco's Easter Party at KOKO London? Buttoned Down Disco's Easter Party at KOKO gyms, sporting activities, health & beauty and fitness. The best pubs near London Buttoned Down Disco's Easter Party at KOKO. 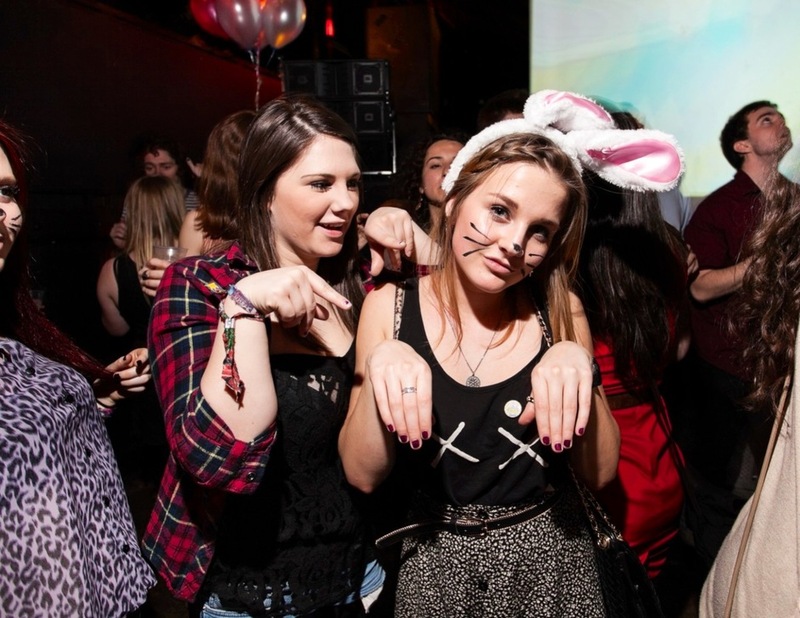 Buttoned Down Disco's Easter Party at KOKO clubs, bars, cabaret nights, casinos and interesting nightlife. Where to have your meeting, conference, exhibition, private dining or training course near Buttoned Down Disco's Easter Party at KOKO. From cheap budget places to stay to luxury 5 star hotels see our discounts for KOKO hotels, including Hilton London Euston Hotel from 73% off.